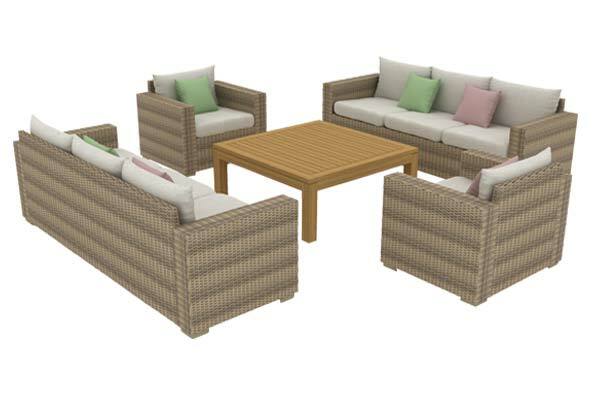 Bring a waterfront inspired theme to your backyard with the captivating, light coloured Mykonos Collection. 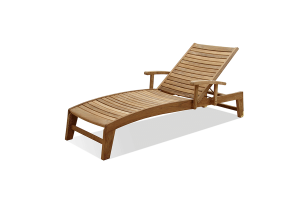 Featuring a full collection of items ranging from high grade teak loungers and dining Tables, to matching resin wicker club chairs to create your backyard retreat. 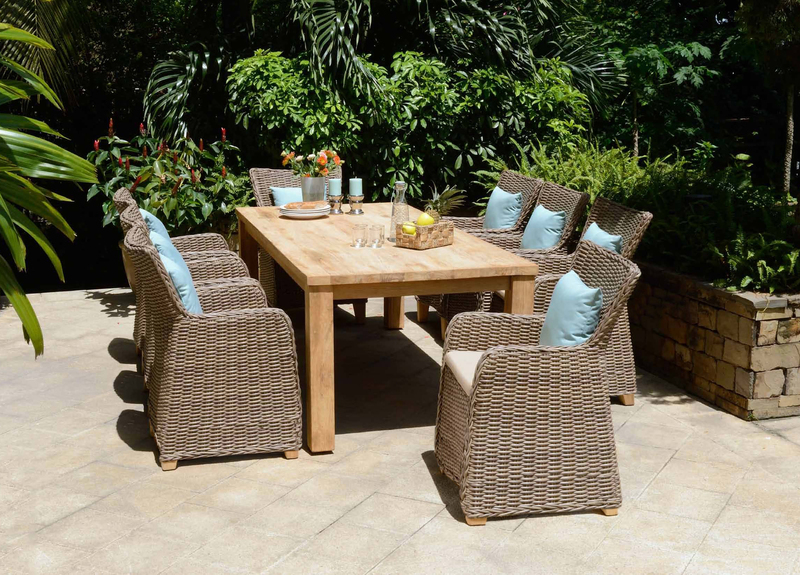 The exclusive, golden-brown ScanCom teakwood goes hand-in-hand with the sandy coloured pebble finish of the wicker lounge chairs, providing you with all the elements you need to create a chic and relaxing seating space. 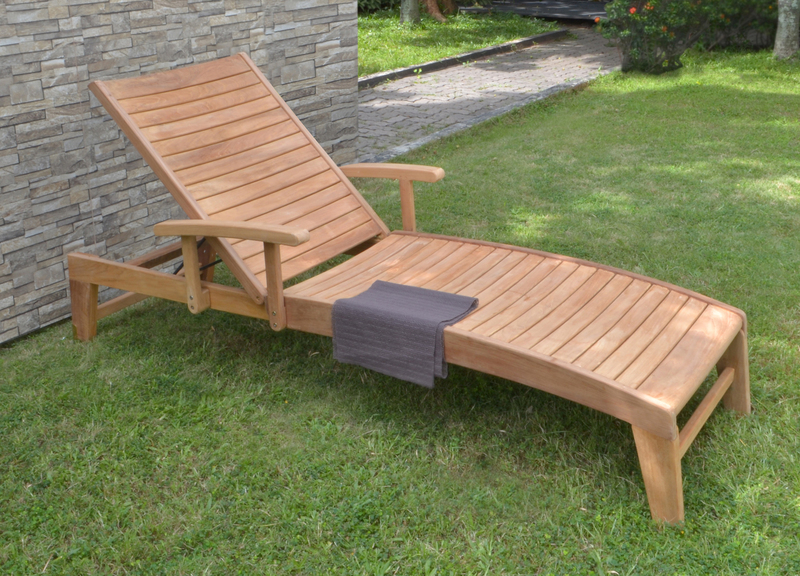 Extend these textures far and wide in your yard with a pair of chaise lounges to go by the pool, or a teak dining set to complete the overall look. 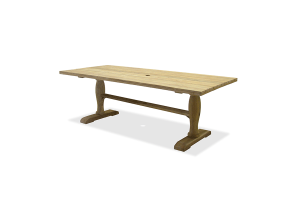 These high quality products ensure value and longevity, as the wood used for these products contain weather and mold resistant properties. 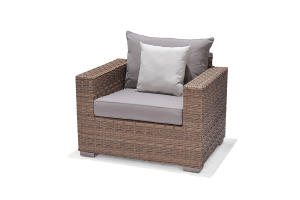 The Mykonos Club Chair reflects a very modish design with its Box-Styled shape and flat Wicker weave. 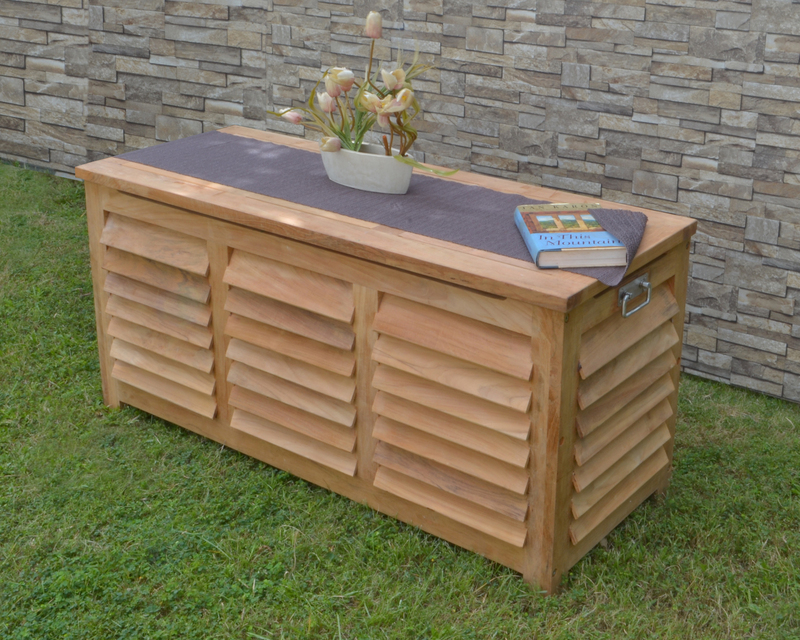 The beautiful sand coloured Pebble Finish and Cast Silver Sunbrella Cushion go hand-in-hand to compliment any shade of landscape or house siding. 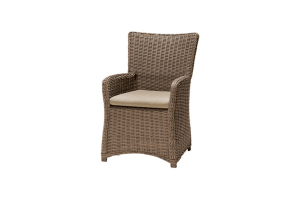 The Dining Chair designed to coordinate with the Mykonos Deep Seating Collection is an elegant, fully wrapped, Synthetic Wicker Chair. 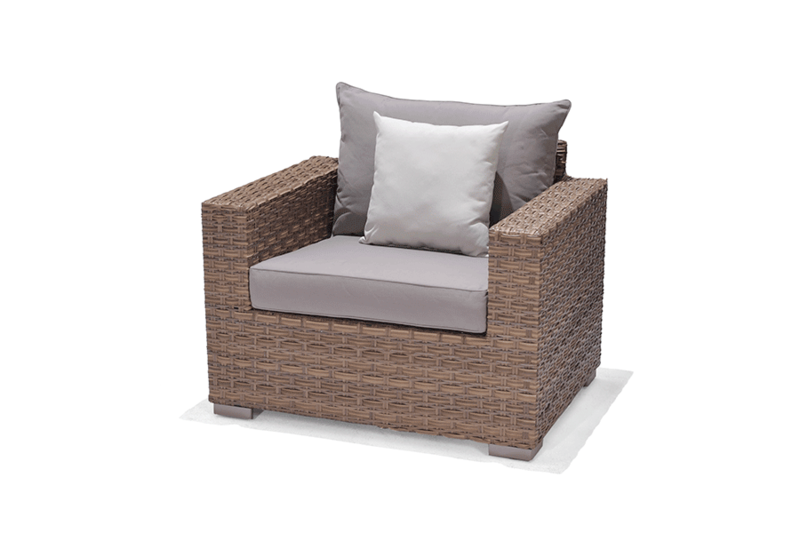 With the same cool toned Pebble Finish and Cast Silver Cushion, the chair will also suit as extra seating when needed. 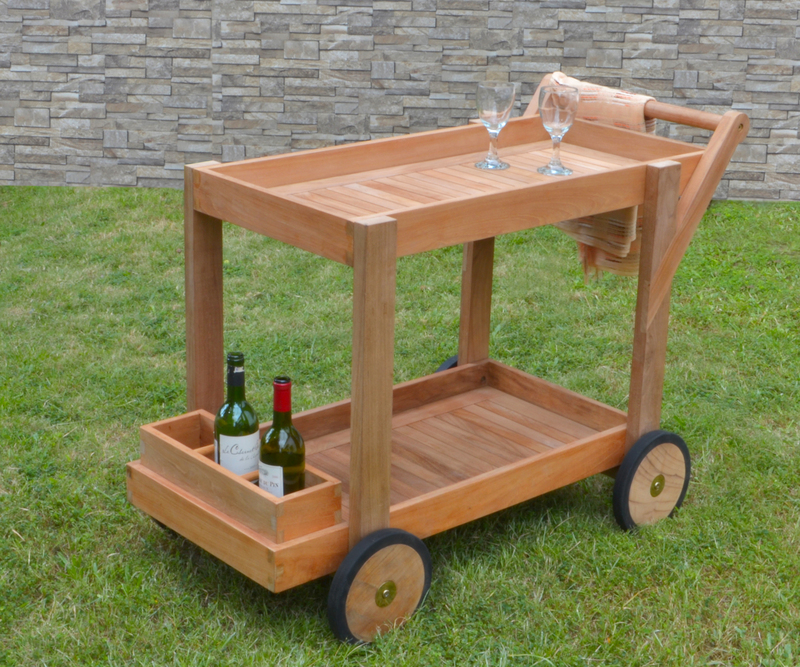 Round up your family, neighbours and friends to host an outdoor dinner party everyone can enjoy! The Moresa Rectangle, Teak Dining Table measures in at 39" x 86" and includes an Umbrella hole to cater to anyone's need of sun protection. 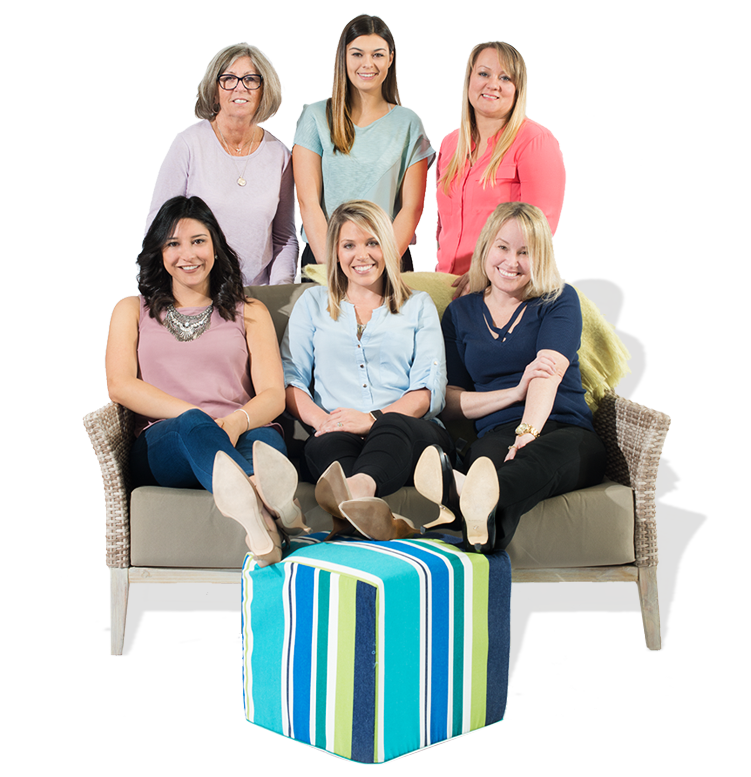 Some maintenance is required. 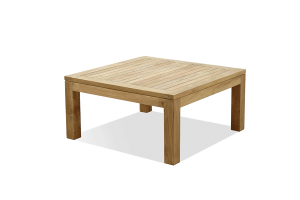 The Teak 35" x 35" x 18" Square Coffee Table is every entertainers dream! 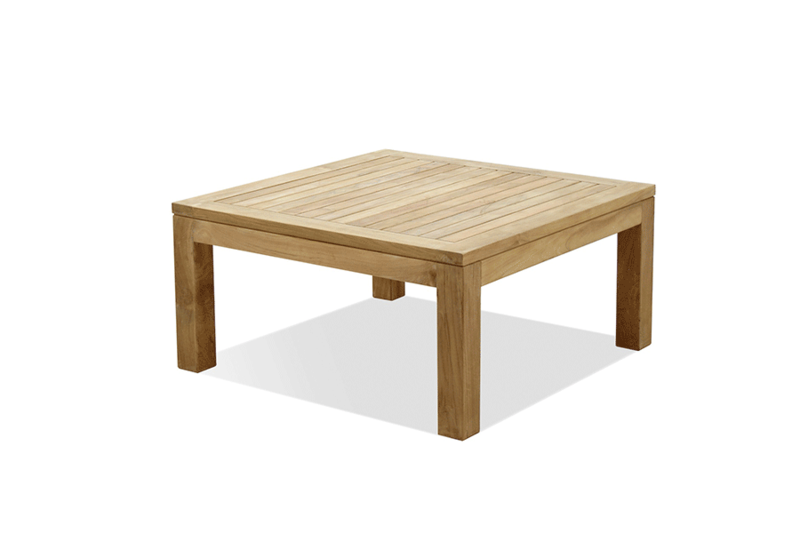 Complete your Mykonos Deep Seating area with a large Coffee Table to accent and center the entire space. Limited maintenance required to upkeep desired colour. 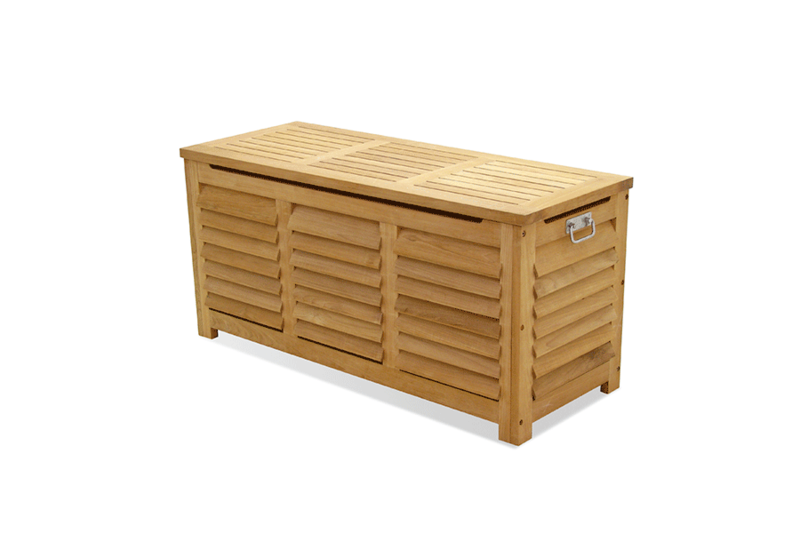 The 50" x 19.5" x 24" Teak Storage Box is a stylish and convenient way to store outdoor accessories including pool toys, blankets and patio pillows! Bring back the traditional and high end use of a Tea Trolley to entertain guests. 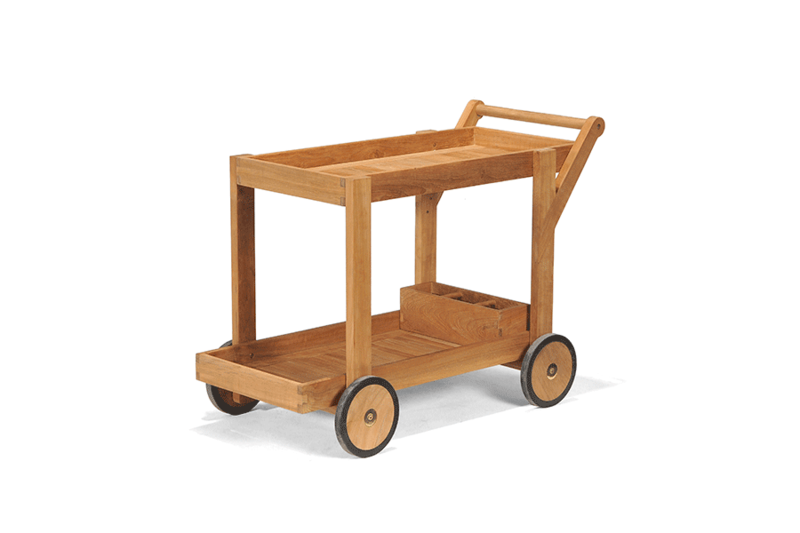 This new and improved Teak Trolley incorporates a modern design with a classic piece, featuring functional wheels and a large surface area to hold snacks and drinks! Lounge and sleep away comfortably in the large, Three Seat Mykonos Sofa! 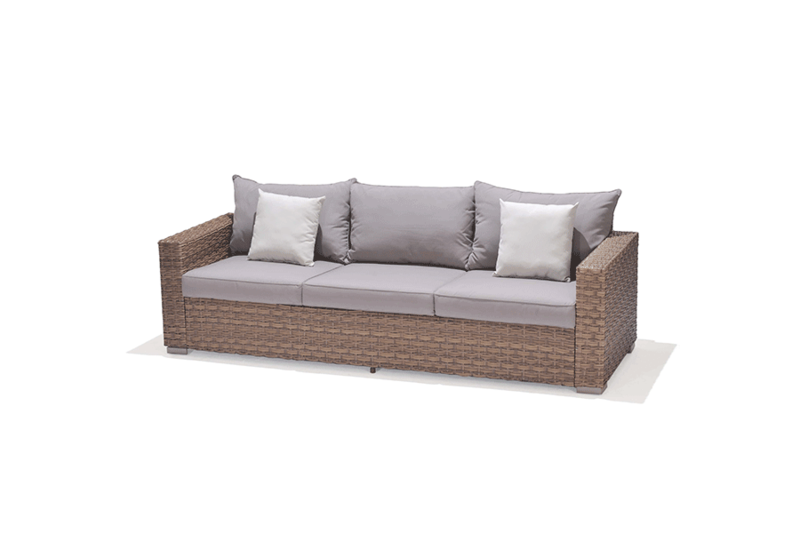 Fully equipped with plus, Sunbrella cushions in a neutral Cast Silver that perfectly accent the sand coloured frame.